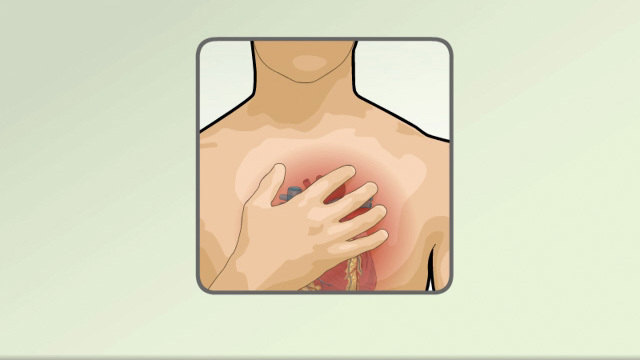 An arrhythmia is a disorder of the heart rate (pulse) or heart rhythm. The heart can beat too fast (tachycardia), too slow (bradycardia), or irregularly. An arrhythmia can be harmless, a sign of other heart problems, or an immediate danger to your health. Normally, your heart works as a pump that brings blood to the lungs and the rest of the body. To help this happen, your heart has an electrical system that makes sure it contracts (squeezes) in an orderly way. The electrical impulse that signals your heart to contract begins in an area of the heart called the sinoatrial node (also called the sinus node or SA node). This is your heart’s natural pacemaker. 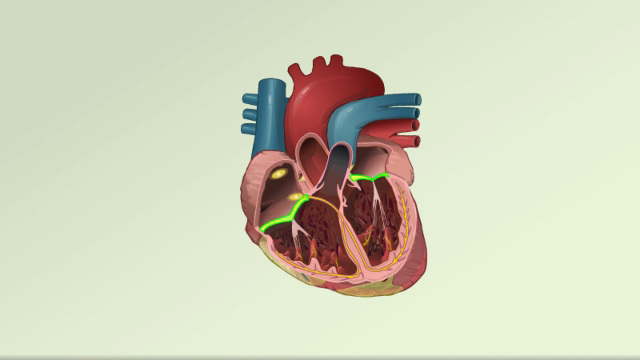 The signal leaves the SA node and travels through the heart along a set electrical pathway. Different nerve messages signal your heart to beat slower or faster. Arrhythmias are caused by problems with the heart’s electrical conduction system. Abnormal (extra) signals may occur. Electrical signals may be blocked or slowed. Electrical signals travel in new or different pathways through the heart. Sometimes medicines used to treat one type of arrhythmia will cause another type of abnormal heart rhythm. An arrhythmia may be present all of the time or it may come and go. You may or may not feel symptoms when the arrhythmia is present. Or, you may only notice symptoms when you are more active. Symptoms can be very mild, or they may be severe or even life threatening. The health care provider will listen to your heart with a stethoscope and feel your pulse. Your blood pressure may be low or normal. An ECG will be the first test done. An echocardiogram is often ordered to examine the size or structure of your heart. Coronary angiography to see how blood flows through the arteries in your heart. 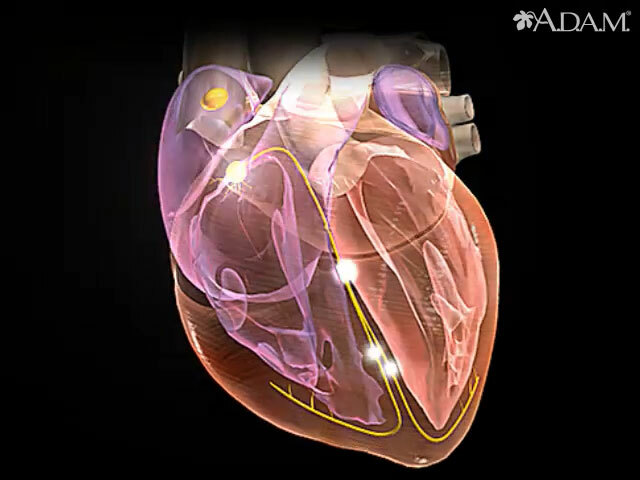 A special test, called an electrophysiology study (EPS), is done to take a closer look at the heart’s electrical system. Sometimes, better treatment for your angina or heart failure will lower your chance of having an arrhythmia. Some of these medicines can have side effects. Take them as prescribed by your provider. DO NOT stop taking the medicine or change the dose without first talking to your provider. Permanent pacemaker, a device that senses when your heart is beating irregularly, too slowly, or too fast. It sends a signal to your heart that makes your heart beat at the correct pace. Whether you have coronary artery disease, heart failure, or valvular heart disease. You develop any of the symptoms of a possible arrhythmia. You have been diagnosed with an arrhythmia and your symptoms worsen or DO NOT improve with treatment. Taking steps to prevent coronary artery disease may reduce your chance of developing an arrhythmia. Rubart M, Zipes DP. Genesis of cardiac arrhythmias, electrophysiologic considerations. In: Bonow RO, Mann DL, Zipes DP, Libby P, Braunwald E, eds. Braunwald’s Heart Disease: A Textbook of Cardiovascular Medicine. 10th ed. Philadelphia, PA: Elsevier Saunders; 2015:chap 33. Tracy CM, Epstein AE, Darbar D, et al. 2012 ACCF/AHA/HRS focused update of the 2008 guidelines for device-based therapy of cardiac rhythm abnormalities: a report of the American College of Cardiology Foundation/American Heart Association Task Force on Practice Guidelines. J Am Coll Cardiol. 2012;60(14):1297-1313. PMID: 22975230 www.ncbi.nlm.nih.gov/pubmed/22975230.